A Chia Seed hydrating lotion that helps improve suppleness and give your skin a surge of moisture to give it back its natural glow from the house of The Face Shop. 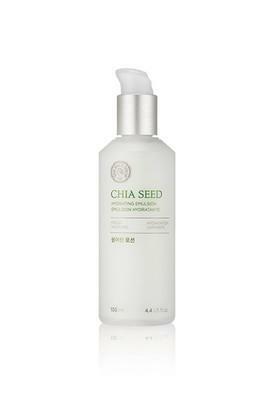 This oil-free cream-gel is enriched with gmo-free chia seed and cotton extract to moisturize skin while eliminating excess sebum. The Chia Seed hydrating Lotion provides rich moisture and nutrition to skin and improving the elasticity of your skin.